Reserve the Prairie Kitchen for your group or event. If you'd like to discuss your kitchen requirements, licensing, or resources available in the kitchen, please call (608) 848-2499 and ask to speak to the kitchen coordinator. 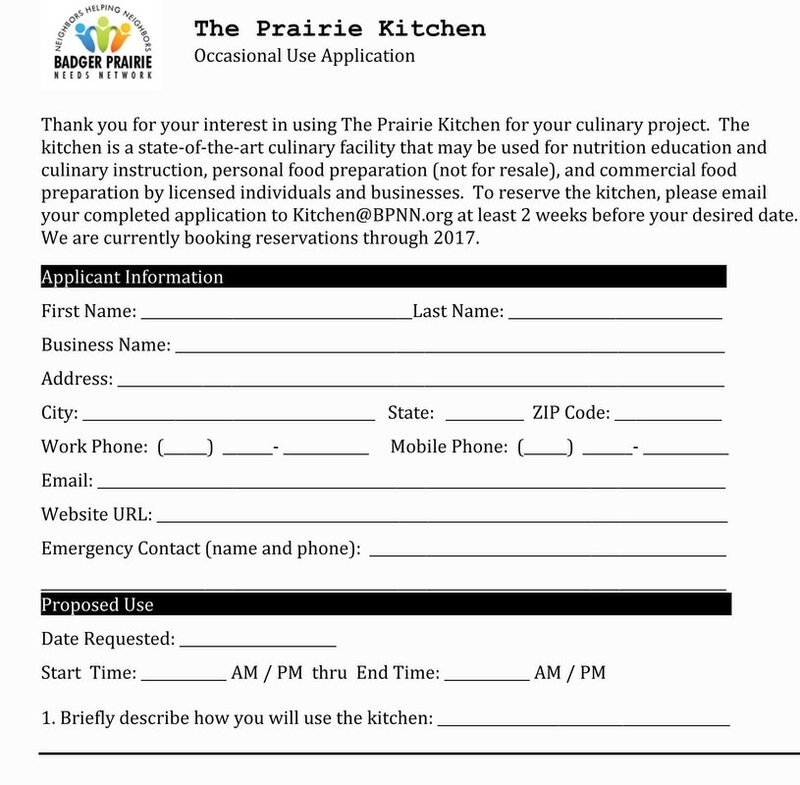 Interested in booking the Prairie Kitchen for your group or event? Drop us a note with your phone number, mailing address, intended purpose, and dates/times you're interested in. Would you like to use the Prairie Kitchen? Our User Agreement is posted below for your convenience. Please contact the kitchen coordinator to discuss any questions you might have.